A report by the Controller of Budget reveals that on average each MCA in Nairobi County is paid Sh262,088 per month while their Isiolo counterparts earn Sh17,219. MCAs from West Pokot earns Sh238,564, Nyamira (Sh237,037) and Uasin Gishu (Sh196,748). According to the third quarter report of the 2013/2014 financial year, County governments spent Sh4.8 billion on travel and Sh82 million on sitting allowances. The report further reveals that Kwale and Mombasa counties are among those who spent heavily on sitting allowances. Kwale paid each of its county reps an average of Sh118,506 a month while Mombasa paid Sh108,257. Nakuru spent Sh198 million on travel. 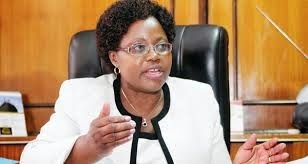 Other counties with questionable expenditures on allowances include Kirinyaga, which has spent Sh16 million on allowances for 29 members despite having budgeted for only Sh15 million. Members from Migori claim Sh154,874 each, Trans Nzoia Sh152,443, Homa Bay Sh147,153, Kisii Sh128,997, Nyeri Sh119,277 and Kwale Sh118,506.